It was hard to watch, but Brown is reassuring fans. 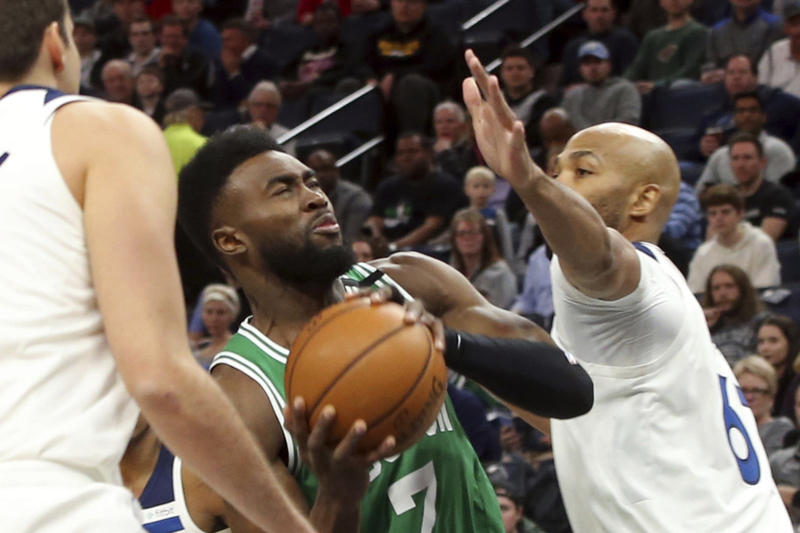 By Spencer Buell·	 3/9/2018, 11:16 a.m.
Jaylen Brown on Friday reassured fans that he is “OK” after an absolutely brutal fall during the Celtics’ matchup with the Timberwolves on Thursday night. In video of the incident (which, be warned, is not pretty), Brown can be seen looking dazed after falling backward onto his head and neck after dunking. After a brief scare that saw medical personnel rush to his side and an area fall silent, he eventually walked off the court under his own power. He returned to Boston with his team and has, of course, entered the concussion protocol. While it doesn’t appear to have been as bad a fall as many had feared, it’s not clear yet how long he’ll be sidelined.